What’s something that nearly everyone needs, won’t become obsolete in six months, and won’t be replaced by an app on your phone any time soon? When you think of knives, you may think only about pocket knives or hunting knives, but there are many more varieties. One of them is bound to be a good fit for any occasion. For a wedding or anniversary present, think kitchen knives. A kitchen knife of the right length and weight makes tasks like chopping vegetables much quicker and safer. Don’t forget a sharpening steel to keep it honed. Machetes are associated with combat, but are also quite handy for clearing brush. When you’re hacking through vines on a hiking trip, you need something with enough power to cut through tough bark and green wood. Buying for someone with a bit more of an imaginative streak? There are swords, daggers, and stainless steel throwing knives that can fit the bill. After a hunter takes an animal with a gun or bow, a specialty knife is needed to field-dress the game. A good skinning knife will feature a point that penetrates hide and a sharp edge that allows highly controlled cuts. 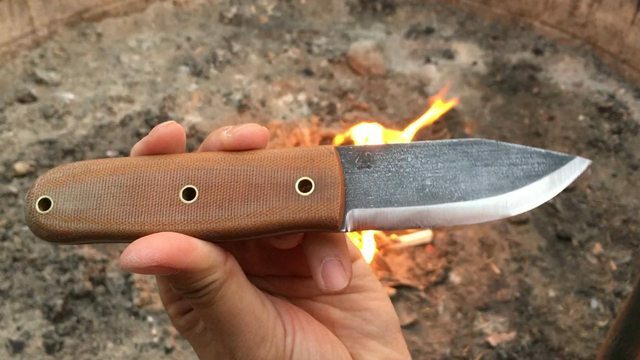 Our grandfathers didn’t consider themselves dressed without a pocket knife, and for good reason. The next time you see someone trying to open their latest online shopping package with a pair of scissors, stop them before they hurt themselves. Loan them your knife, and put them on your gift list. Today’s pocket knives often have features like automatic opening, locking backs, and accessories like small scissors, screwdrivers, and files. Knives, and accessories to keep them sharp, are appreciated by everyone. They can last a lifetime and be passed down through the years.